Are We Guilty of Undervaluing Natural Hairstylists? There was a time when the American beauty shop/salon was a place for women to meet and socialize. It was a place to catch up on the gossip, but also a place to seek important information. The African-American beauty shop was sacred, the place where the magic happened. Community leaders and politicians often sought support from local stylists. They knew that beauty shop conversations were pivotal to influencing popular opinion. Regardless of the culture, beauty shops have been essential parts of the community and have been respected for generations. 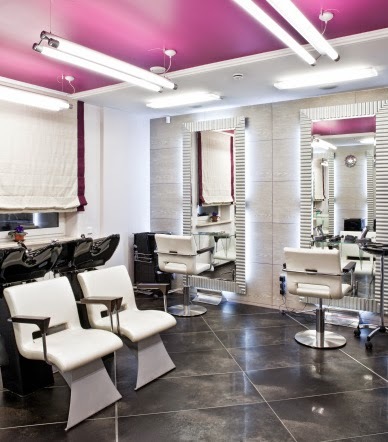 The history of the beauty salon will always hold a high significance. Even today when we step into a beauty salon (based on the salon) we feel at home, safe, and have sense of peace. However, these lovely feelings are not consistent for every salon you enter, and in the past decade or so women have spoken out about it, which has caused shifts in the common view of professional stylists. Some licensed stylists are incapable of servicing their clientele due to inadequate education, training, and experience. This has shed a negative light on the industry as a whole. Horror stories have surfaced about women going into a salon and waiting hours before services are rendered. You often hear of horrendous hair color gone wrong, curly hair controversy, and edges under siege by braiding salons. Despite the negative realities of the industry, plenty of salons and spas have produced favorable results to consumers and continue to provide a luxurious experience with functional outcomes. The truth is, this industry is not simply about lavish living and physical indulgence. It is also about maintenance and manageability. The beauty industry, particularly salons and stylists, are statistically valued by Americans. It is evident in their survival of the recent recession. According to the Bureau of Labor Statistics, “Overall employment of barbers, hairdressers, and cosmetologists is projected to grow 13 percent from 2012 to 2022.” The hair care industry has stood strong through the recession and shows no signs of slow growth for the future. However, the shift in the trusted, professional image of the cosmetologist is being challenged. Some major concerns about professional cosmetologists are poor customer service and results, which makes a definitive impact on every industry. As told professional speaker on customer service Steph Hyken says, “In a positive economy, 70% of Americans are willing to spend an average of 13% more with companies they believe provide excellent customer service. 78% of consumers have bailed on a transaction or not made an intended purchase because of poor customer service." On the other hand, the onset of YouTube has made many women resort to their computer for self-taught healthy hairdressing. The hair tutorials on YouTube are growing exponentially, at a parallel shift in the cosmetologist industry. When the natural hair movement gained momentum, most colleges of cosmetology did not teach curly hair care. Therefore, in some communities the clients were at a loss and were forced to choose online education. As we have come to increase our respect for the YouTube Gurus for haircare, it is important to remember that there are times when a professional opinion is essential to care for certain hair and scalp challenges. So do we still think professional stylists are devalued? Maybe, maybe not. The answer is relative. There are needs for online education and professional consultations. Beauty professionals must continue to educate themselves and provide a high quality service and a favorable experience. However, when a client is beyond their reach they should forward their concerns onto another’s expertise and the same applies for bloggers and vloggers. But most importantly, the consumers must educate themselves on what is best for them. Scalp concerns or thinning hair are concerns that should advised by a trichologist or dermatologist. The trimming of the ends, and/or deep formulated conditioning treatments should arguably be left to a licensed beautician. Be sure to do your research when choosing a professional. Seek reviews and word of mouth testimonies to endorse your selection. The beauty industry is vast, and with the change of the times it includes DIY bloggers and vloggers along with the licensed cosmetologists. The truth is that we are all on the same side, with the mission to help people maintain their image while making them feel valued. Therefore, as we foresee clients that fall through the cracks, we should all commit to referring the consumer to the correct professionals. Our collective efforts will communicate what high value should be placed on every facet of this growing industry. So what do you think, can the entire beauty industry find a way to work together?